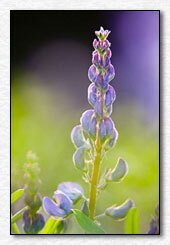 Welcome to Earthbound Light, where you will find some of the results of my passion for nature photography. I hope you enjoy what you find, but please be considerate of the work it took to do all this. The entire site contents including all images and articles are copyrighted. I would ask that you honor this and not copy them. If you are interested in publishing any of my images or articles or using them in other ways, please contact me so we can discuss your needs. Earthbound Light Comes to Facebook and Twitter! After listening to friends incessantly extoll the wonders of Facebook, I finally joined and also set up a page for Earthbound Light. I'm still figuring out how best to make use of Facebook, but I've already connected with friends I haven't talked to in years. If you're a Facebook member, drop by the Earthbound Light page and become a Fan. The NetworkedBlogs application on Facebook also gives readers one more way to follow my weekly PhotoTip articles. Read them on the Facebook Earthbound Light page or add them to your own Wall. And now, you can follow me on Twitter as well, to get access to my occasional thoughts and observations that fit well in 140 characters or less. 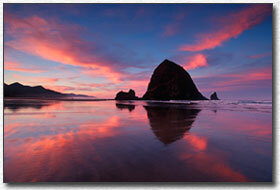 Click here to subscribe or to add Earthbound Light PhotoTips to your own website! Over the years, I've accumulated a lot of books on photography. Click here for some of the better ones that may be of interest to site visitors. New titles are being added all the time. Buying through links on Earthbound Light helps support the site and is greatly appreciated. 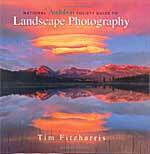 The new National Audubon Society Guide to Landscape Photography by Tim Fitzharris has just been published. Along with a lot of great information and Tim’s outstanding photos, the book features a list of resources as an appendix. Along with a selection of newsletters and organizations, books, and equipment providers, there are seven websites recommended as good starting places for further exploration. The first one is the website of Popular Photography Magazine. The second one is Earthbound Light, described as "Bob Johnson's informational website with nature, landscape, and digital photography tips." Sounds good to me. You can find Tim’s new book at Amazon.com, and booksellers everywhere. 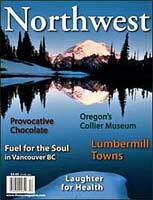 In an agreement with Northwest, a bimonthly magazine dedicated to celebrating the Spirit of the Pacific Northwest, images from Earthbound Light were featured frequently in their pages and on their covers. 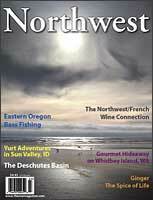 Northwest is a high-quality magazine that I am proud to be affiliated with. The winners of the 2007 Environmental Photography Invitational have been announced, and one of my photographs is among the one hundred selected images. The Environmental Photography Invitational, or EPI, is a premier North American photography event. The annual juried photo competition was created by Art Wolfe as "an event for the advancement of photography as a unique medium, capable of bringing awareness and preservation to our environment through art." You can see the complete 2007 Environmental Photography Invitational gallery by clicking on this page. As with last year, the North American Nature Photography Association has selected approximately 100 photos for their Members' Showcase gallery. They represent some truly excellent talent. And as with last year, one of mine was chosen to be among this elite group as part of the 2007 Member Showcase. A special "NANPA's Expressions 2007" showcase journal has been printed and distributed to all members including these 100 together with 150 additional selected images. All together, four of my images are included. A different photo will be selected each day from the Showcase to appear on the front page of NANPA's website. Users of Adobe Photoshop Elements version 4 and above who are looking for looking for a way to add Curves now have an answer! I've explored a number possible ways of solving this problem and the one that stands out from all the others is the free easy.Filter SmartCurve plug-in by Alois Zingl. Click here to learn about it. If you are using an Adobe Photoshop Elements version earlier than 4 and long for tools such as Curves to optimize image contrast and the Channel Mixer for black and white conversion, you can add them for free by downloading the Earthbound Light effects for Photoshop Elements. Don't let a silly little thing like Adobe not including them in the box stop you from getting the most out of your images. Works with Elements 1, 2 and 3 on both Windows and Mac OS. If you are running Elements 4 or above, you want SmartCurve instead. Northwest Exposure 2006 Grand Prize Winner! I am honored to have been chosen as the Grand Prize in winner in Washington Trails Association's 2006 Northwest Exposure Photo Contest! 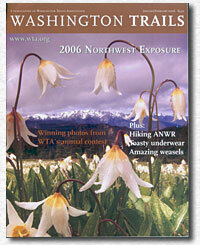 All selected images are featured in the January-February 2006 issue of Washington Trails magazine, with my image as the cover. 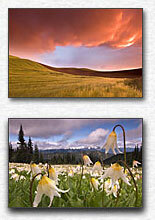 Winning images are now also on display on the Washington Trails website. You can see all the winning images from the 2001 through 2005 contest too! Three Highly Honored Images in Nature’s Best! Chosen from more than 14,000 images submitted for the 2005 awards, my Cannon Beach image "X" Marks the Spot was selected as a Highly Honored Winner in the Landscapes category of the 2005 Nature’s Best Photography Awards competition. Additionally, the Photo Committee of the Mountaineers Seattle Branch to which I belong was selected as a Highly Honored Winner in the Camera Club category. 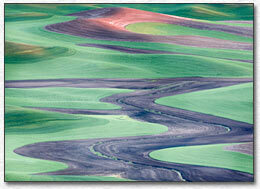 Their winning submission of 20 images includes "X" Marks the Spot as well as Palouse Versus the Storm and After the Snows. Each year, approximately 100 photos are juried and selected by the North American Nature Photography Association for their Members' Showcase gallery. These represent some of the best work NANPA members produce. For the 2006 Member Showcase, one of mine was chosen among the top 10. These images plus an additional 150 runners-up were printed in a special "Impressions NANPA Showcase 2006" journal distributed to all members. All together, four of my images are included. A different photo will be selected each day from the Showcase to appear on the front page of NANPA's website. The Summit also featured the first annual NANPA Fine Art Print Exhibit in cooperation with the Colorado Mountain Club. The 100 winning images jurried from those submitted including two of mine. Earthbound Light Among Top 10 Coolest Sites of the Year! Earthbound Light was selected by Cool Site of the Day as their choice for Saturday, May 7, 2005. The oldest and still the best, Cool Site of the Day has been picking cool sites they deem worthy of bringing to the attention of a wider audience since 1994. Thanks to everyone who took time to vote for the site. Here's how Cool Site of the Day announced Earthbound Light to their mailing list: "Dynamic landscape photography by award-winning photographer, easy to understand weekly instructional tips on digital and traditional photography, extensive links and book recommendations. Extremely flattering feedback from visitors the world over. GORGEOUS stuff with some insight to each photo from the photographer. Very cool!" Update: 2005 is now over and Earthbound Light has finished out the year among the top 10 coolest sites of the year. My thanks to everyone who has visited my site during the year and my congratulations to all the other really cool sites oout there. Nikonians is a worldwide community of over 30,000 Nikon users. In recognition of the team and their membership, they select three members to honor as Nikonian of the Year, one from the Americas, one from Europe, and one from the Asia Pacific Region. For 2004, I was privileged to be selected for the Americas. "Bob Johnson: Nikonian of the Year 2004 - The Americas. In recognition of his outstanding commitment to the Nikonians community, his outstanding skills as a photographer, and his prolific contributions to the Nikonians forums. For his devotion to teaching and sharing his knowledge and skills with all members of the Nikonians community." Published in Mumbai, Better Photography is the by far the largest selling photography magazine in India and South Asia. They carry a wide range of articles covering photography techniques, equipment reviews and tests, photo features, and interviews with amateur and professional photographers, along with the latest news in the industry. 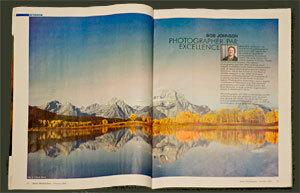 The February 2005 issue features an extended interview with me under the title "Bob Johnson: Photographer Par Excellence." Spanning six pages, the interview includes thirteen of my images in full color. I think the article came out quite nice indeed and I’m flattered to be featured in their pages. For those of you who (like me) live in countries where Better Photography is generally not available, you can download an Adobe Acrobat reprint of the article here (800KB pdf file). Those of you who do live in India and South Asia should pick up a copy, not just for the article covering my work, but also for the rest of their excellent content. The results of the Twenty-fifth Anniversary Photography Contest are out and two of them are mine! A shot of entitled "Two Mountains" of Mt. Rainier and a clearcut brush pile was awarded First Place in the 'Human Imprint on Nature' category, and an image of Early Winters Spires in the North Cascades was awarded Honorable Mention in the 'Unprotected Wildlands in Washington' category. 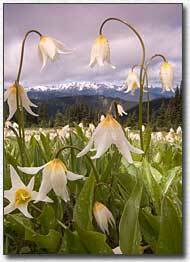 Visit the Mountaineers website for a gallery of my images. The Mountaineers is a great organization for those interested in the outdoors. If you live in Washington sate, click here to find more information. 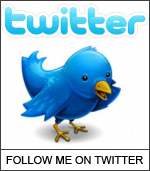 See Earthbound Light on on these other fine websites! and for sale as fine-art digital prints. Entire site contents* copyright © 2000 - 2019 Bob Johnson, all rights reserved worldwide. No form of reproduction, including copying or saving of digital image files or articles, or the alteration or manipulation of said content is permitted. * The extremely fine print: Logos and other images used for support to other sites are copyright by their respective owners. This entire domain and all associated e-mail addresses are located in the State of Washington (as are Mt. Rainier, Mt. Baker and the North Cascades and the Olympic Peninsula which are my primary focus). Sending unsolicited mail to addresses at this domain is subject to the provisions of the Revised Code of Washington. For your convenience, Earthbound Light now uses PayPal® checkout. Search results will open in a new window.